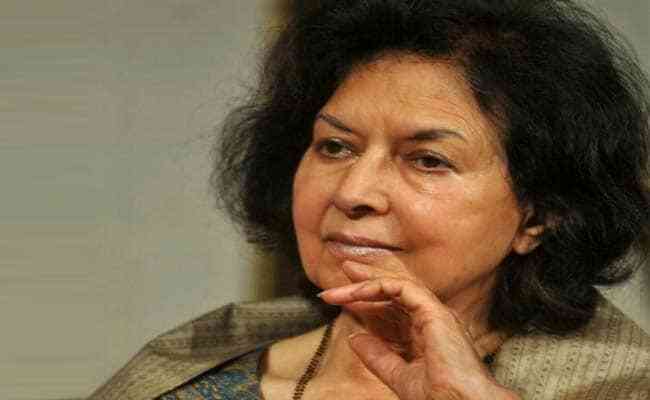 Award-winning author Nayantara Sahgal hit out at the government over actor-director Amol Palekar being interrupted during a speech recently. Reacting strongly to veteran actor-director Amol Palekar being interrupted during a speech at the National Gallery of Modern Art (NGMA) in Mumbai when he criticised the government, author Nayantara Sahgal has said that the country is not facing intolerance but is under "outright dictatorship". "It's becoming a habit of this government to stop people from speaking freely. It's not intolerance anymore, it is outright dictatorship. We have all seen how the PM Modi's government has treated the creative imagination." "They are not comfortable with it because they cannot control free thinking, they can only ban and prevent people from speaking," Ms Sahgal told news agency IANS. She highlighted that just days before Mr Palekar was snubbed and interrupted repeatedly at a function for which he was invited, an invitation to inaugurate a literary festival to herself was revoked at the last moment. Ms Sahgal, along with a host of leading literary stalwarts, had returned her Sahitya Akademi Award in 2015 to protest against rising intolerance in the country. Incidentally, her upcoming novel "The Fate of Butterflies", slated to release on February 27, is billed as "a superbly told tale that is close to all that is happening in our country"